Rolex reflects the vision of one man. Hans Otto Wilhelm Wilsdorf was born in Kulmbach, Bavaria, on 22 March 1881; by the age of 12 he had become an orphan. His first job was an apprenticeship in a pearl export company with a worldwide sales network: Wilsdorf himself acknowledged that what he learnt there helped him later in his career. In 1900 he moved to La Chaux-de-Fonds, working as English-speaking correspondent and clerk for Messrs. Cuno Korten, a company that exported Swiss watches worldwide. After his military service in the German army in 1902, he moved to London (1903), once again working for a watchmaking company. In 1905, at the age of 24, he set up his own business, with the ambition of distributing quality timepieces at affordable prices. It was named Wilsdorf & Davis, because he had set it up with his brother-in-law. The name Rolex arrived in 1908, a trademark for the company, but the earliest watches that they made were still marked “W&D” up until the First World War. Those years were also the period in which the industry had seen the appearance of the first wristwatches, then named “wristlets,” initially simply pocket watches with lugs welded onto the watch-case and provided with a leather strap. They were rather derided in society at large, seen as fundamentally a women’s accessory. Wilsdorf on the other hand thought that the wristwatch would be the future of timepieces for both men and women, and set his mind to improving it. One of the problems that he had was finding movements small enough to fit into the case that necessarily had to be smaller than a pocket watch, and with a high degree of shock resistance to withstand the gestures of the arm and hand. In addition, it had to be resistant to dust and moisture. He was also convinced that England was the ideal testing ground. “In spite of all this, I kept my faith in the wristlet watch and was determined to see what could be done in England, that country of sportsmen par excellence. It seemed to me that here my chances of success were the greatest.” (from Vade Mecum, Wilsdorf’s book about Rolex published in 1946). During his years in La Chaux-de-Fonds, Wilsdorf had come into contact with watchmaker Hermann Aegler in Bienne, who made ebauches (unfinished movements) of a small size. After Wilsdorf had founded his company, he started importing Aegler’s movements and used them to make a variety of “wristlets,” selling them principally in the UK and in the British Empire, above all in Australia and New Zealand. His belief in the wristwatch format was confirmed by a precision test at Kew Observatory in London on 15 July 1914, when a 25-mm Rolex “wristlet” attained a Class A certificate, previously won only by much larger pocket watches. The First World War had several effects on Wilsdorf’s company. Hans was a German in London, and even though he had married a British woman and become a British citizen, he felt threatened by the growing anti-German feeling in Britain. In addition, in 1915 a 33.3% customs duty was suddenly introduced by the British government. So Wilsdorf changed the company name to The Rolex Watch Company Ltd. and transferred his head office to Bienne in Switzerland, facilitating his relations with Hermann Aegler. Along with the disastrous consequences of that terrible conflict, it had one positive consequence with regard to watches: officers had found the wristwatch format very useful in the trenches. It became universally accepted amongst both men and women. In the years from 1915 to 1925, he sold hundreds of thousands of watches, and battled with the problem of establishing Rolex as an accepted brand name. In the English watch trade, the distributors to whom Wilsdorf was selling his watches from his head office in Switzerland wanted their own name on the dial, and the idea of watches with a unique brand name seemed very strange. 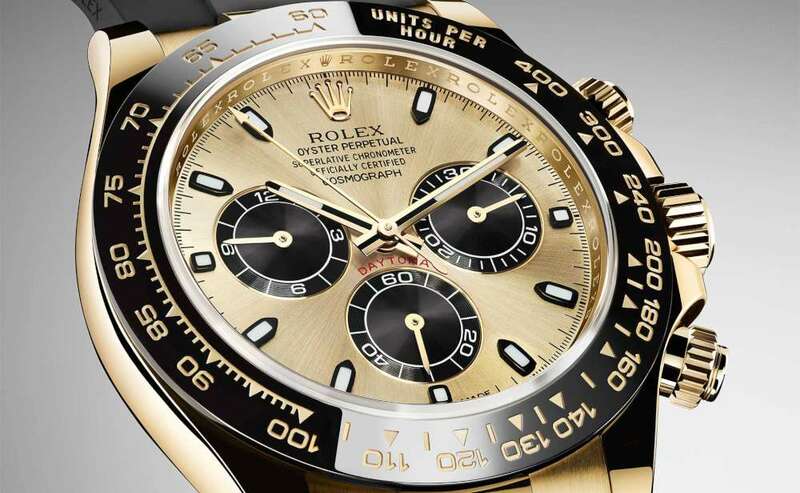 Rolex, with just five letters, was short enough to be placed on the dial together with the British distributor’s name. But it took time: he started by adding the name Rolex to every sixth watch, then to about half the watches that he made. The turning point came in 1927 with the launch of the waterproof Rolex Oyster. From then on, all the company’s watches would have the name Rolex on the dial, inside the case and on the movement. In 1919, Wilsdorf made another move, from Bienne to Geneva. The factory in Bienne continued to make the watch movements, but being in Geneva enabled him to adopt the prestige of the “city of watchmaking.” Six years later, another important element in the Rolex image was created: the five-point crown logo that accompanies the five letters of the name. – Optimum protection against dust, water and other impurities, in order to ensure long-lasting precision. It was the last point that represented the greatest challenge. In 1926, Rolex designed the first watch that was both waterproof and dust-proof, with a hermetically sealed case. The waterproof “Rolex Oyster” was launched in 1927, showing that Wilsdorf had an uncanny knack for finding good names for his watches as well as a brilliantly inventive mind for publicity. He devised a special window display for his top dealers, with an aquarium containing goldfish and plants, within which the Oyster watch was suspended. 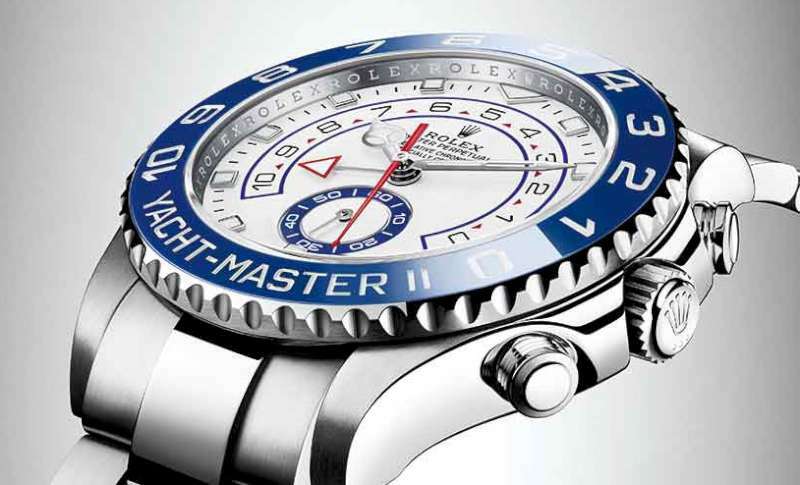 Wilsdorf obtained further publicity for the Rolex Oyster on 7 October 1927, when Mercedes Gleitze swam the English Channel, wearing the Rolex Oyster. He took the unprecedented step of buying the front page of the Daily Mail, on 27 November 1927, to announce the success of the first waterproof watch. After the waterproof case, the next element in the Rolex success story was perfected in 1931: the automatic winding system, dubbed “Perpetual” by Wilsdorf. It seems likely that Wilsdorf and his technicians had come into contact with John Harwood, inventor and watch repairer from the Isle of Man, who had patented the first practical automatic wristwatch in 1924 (much earlier, Perrelet and Breguet had designed self-winding systems, but they were ineffective and excessively expensive when applied to pocket watches). Harwood’s invention was adopted by Blancpain, Fortis, Wyler, Selza and other brands, amongst which Rolex. There was apparently some dispute between Rolex and Harwood until when in 1956 the company acknowledged Harwood’s role in the invention of the automatic winding system. 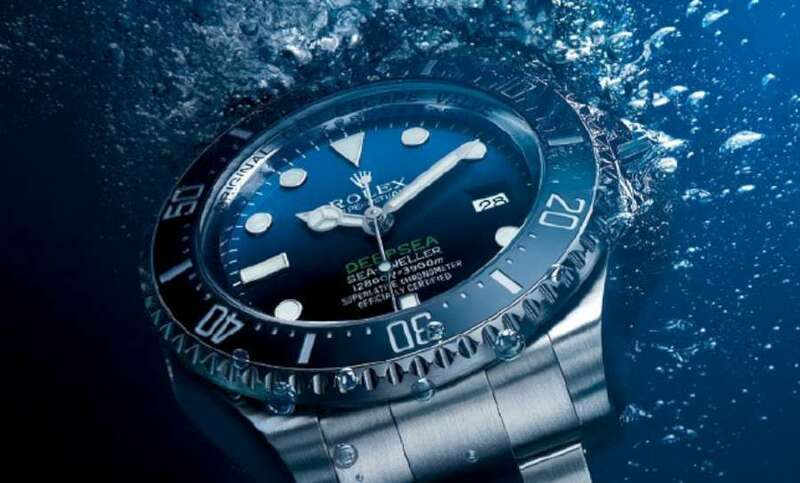 One of the more curious events of those years was a commission from Italian brand Panerai, which in 1936 asked Rolex to make some diving watches for them. They were suppliers to the Italian Navy. This was the only occasion on which Rolex made watches for another brand. It was possibly this episode that led to Rolex’s development of professional diving watches, with the Submariner that arrived in about 1953. Hans Wilsdorf died in 1960, but still today, his vision can be clearly seen in all Rolex products. Why is Rolex so famous?